A leaking roof is the most obvious sign that it's time to replace your roof, but it's hardly the only one. Many of these signs will eventually lead to a leaking roof, but identifying these problems early enough can prevent water damage and save you money for your roof replacement project. Sometimes this early intervention can also be the difference between repairing your roof and replacing your roof. 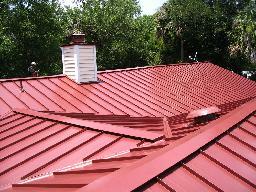 You should consider part of this decision, however, the age of the roof, otherwise you may find roof repair a constant burden. 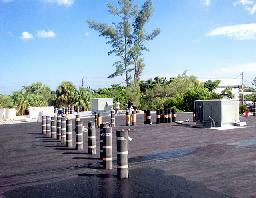 Missing or torn roofing will expose the roof to water damage and decay. Indoors, look for discolored plasterboard or cracked paint, and efferessence. You have two main roof replacement options: You can either remove the old roof or put a new roof down on top of the old one. Putting a new roof down on top of the old one is almost always cheaper but often doesn't last as long—a typical situation where you get what you pay for. However, some considerations can make one choice better than the other. If you have more than two roofing layers already present, your roof can get heavy, cumbersome, and the sub-layers may end up rotting through to the point where your new roof is no longer stable.